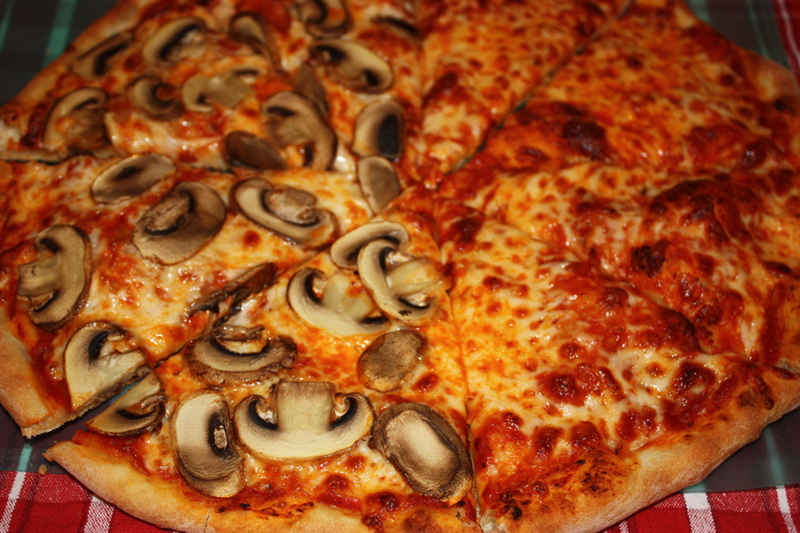 I made pizza last night for the Super Bowl – Denis likes mushrooms and I like plain so… half & half. And we both like a crispy crust, one that crackles when you slice the pie. My favorite crust comes from using a pizza stone and wooden peel but you can also get a great crispy crust with one of those special pizza pans with holes. You can see how it works in my healthy Pepperoni Pizza video. Click here to see it. One Comment on "Homemade pizza is the best!"